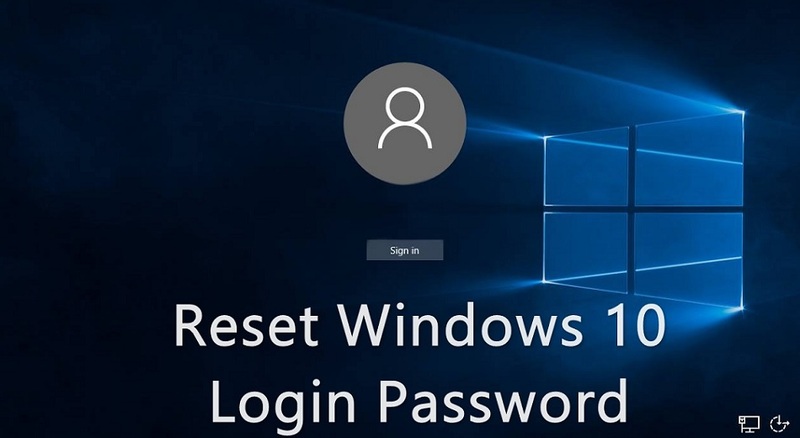 If you are an avid user of Windows operating system and greatly adore the latest launch of Windows 10, then let us remind you that in spite of all the technical advancements, Windows 10 is still facing the same old issue of recovering passwords. Yes, there is no such direct provision for administrators to recover or reset their password using their very own Windows 10 OS. Although there are certain other indirect tricks available using third-party tools and this is what we are going to discuss today in this article. Go through the methods described below to get the solutions with much more detail. Step 3: Now enter your email ID and receive an OTP to your Mobile or any alternate recovery Email Address. Step 4: Next input the newly received OTP into the currently opened page and set a new password for your MS account. Step 5: Restart your computer and on the login screen type the recently created password for your Microsoft account password inquiry and you will gain the access. If the Microsoft account password protection feature is not enabled prior to losing the password, then this method won’t work at all. It does not work with root or domain accounts. Step 1: Download the program ISO file on any working laptop or computer and burn the disk image files to create a bootable pen drive. Step 2: Insert the bootable pen drive into the locked computer and boot from it. Step 3: A special UBCD menu will appear on the display screen, and you are supposed to choose the “Parted Magic” option and press “Enter” to proceed. Step 4: Go to the next page, and choose the default settings by pressing key ‘1’ from the keyboard and proceed. Step 6: Now setup a fresh password for your Windows 10 account and apply the changes you just made. Take out the bootable pen drive and restart your computer to enter the previously locked account with the recently created password. It is one of the finest and well-known password resetting freeware tools which cannot only reset but can completely destroy the password from your locked computer. It hardly matters how hard or complicated your password, once you have decided to deal with it using TunesBro WinGeeker you can take your seat and relax for a while. It has been tested and verified many times with different brands of computers and laptops, such as HP, Dell, VAIO, Lenovo, Acer, etc. It works fine with all Windows Desktop OS - XP / Vista / 7 / 8 / 10. It also supports Windows Server OS - 2000/ 2003/ 2012/ 2016/ NT. It deletes all four types of Passwords - PIN, Microsoft, Text, and Picture Password. No special technical expertise is required. It Supports UEFI based computers also. What You Need Before Using The Tool? Bootable Flash drive or CD/DVD. Step 1: Download the program file directly from the internet and install it with step instructions to avoid any mishap. Step 2: Launch it with admin rights and insert an empty optical disk. Step 3: Click on either “Burn USB” or “Burn CD/DVD” buttons according to the disk you have inserted just to start burning the ISO image files into the inserted disk. Step 4: Click the “Ok” button finally, once you receive the burning completion notification. Step 5: Take out the loaded bootable disk and insert it again into the locked computer and boot from it. Step 6: In order to boot from the disk, press certain random keys from the keyboard to enter the BIOS utility settings and move the inserted drive to the slot of priority device to load the ISO files into the locked computer. Step 7: Click on “Reset Password” and then “Restart” button and your system will take a restart instantly. But this time, the system would not ask you for any password for the previously same locked account which clearly indicates that the password has been bypassed. In this guide, we have shown you three simple methods to reset Windows login or admin passwords for free. The first two methods mentioned above are equally effective but cannot be equated with the efficiency of the third tool since they have got many setbacks to fall apart.